Over 90% of the adult population in the UK owns a mobile phone. That’s a lot of monthly income for the telecoms companies and a lot of bills to pay for the users. With these kinds of figures it’s not surprising that phone credit checks in the UK account for the vast majority of the nation’s applications for credit every single day. Having a mobile phone is now something of a necessity; we can’t image our lives without them. If, like the vast majority of people, you would like an up-to-date handset but can’t afford the £500 to £1,000 that they cost upfront, then a monthly contract is the solution. A monthly contract involves having a financial background check which is where some people come unstuck. It’s possible to still get a monthly contract even if you have a bad credit rating, you just won’t have access to the best deals available. You may want to look at how to get a better credit score before trying to get one of these packages. You might be offered an earlier version of the handset you wanted or a more basic handset instead because these represent less of a risk to the network provider should you run into difficulties when paying for your monthly contract. Can you get a phone contract with bad credit? With mobile phones being integral to everyday life, people are genuinely concerned about whether their financial history will let them down when it comes to applying for a contract. So if you have a less than impressive financial history, can you get a phone contract with bad credit? Obviously the better your history is the higher your chances of passing the credit check are. If you want the very latest phone package with a lot of texts, minutes and internet usage included each month then you will have to pass the phone credit check. You could try looking at your history yourself first by using one of the many online services. See our UK Credit Ratings review for information on this particular site. If your assessment comes back to say that you do not qualify for the package that you want, they provider may still be able to offer you something. For example, if you don’t qualify for the iPhone X you wanted, you might be offered the iPhone 8 instead. It may not be exactly what you wanted but it is still a very good phone. With all the talk surrounding passing background checks to get the very best mobile phone contracts, what is the minimum credit score for a mobile phone contract? This isn’t a straightforward answer. A score of 700 with Equifax is considered a good credit score, but a score of 700 with Experian is considered poor on their scale. To complicate things further, each lender has its own ideas about what is deemed to be a risk or not. What one provider thinks is risky another provider will be perfectly fine with. So, there isn’t just one golden number to aim for when it comes to a mobile contract, there are actually three. Knowing how to check your credit rating for a mobile phone contract is relatively straightforward and will cost either very little or nothing at all. The easiest way is to sign up to the services that the reporting agencies offer. They all have some variation of being able to check your credit score for free, but if you want to look at your report which is a lot more in depth, then you may have to pay a monthly fee for this after your free trial has expired. It can help you with many things such as checking for CCJs online which may be affecting your score. It’s worth finding out your score for each agency as there is no pattern as to which agency your chosen provider will use. Each agency is required to let you have one full report every twelve months for free, so take full advantage of this and request one from each agency. Once you have your reports you should check them thoroughly for any discrepancies as even simple errors can have a dramatic negative effect on your credit score. How long does it take to do a credit check for Vodafone? Waiting for a phone credit check in the UK to come back with its results can be a nerve-racking experience, especially if it takes longer than it should. The different networks all use different combinations of credit reference agencies for their information, so there’s no one true timeline either. As an example, how long does it take to do a credit check for Vodafone? It can be as little as a few minutes or as long as a few days. Vodafone have a reputation for being one of the more strict networks so if the credit check takes a little longer than you were anticipating, don’t panic! An O2 phone credit check can vary in the amount of time that it takes to be processed. It may take just a few seconds or it may take a few days. If the checks are being performed over the weekend then this can also slow the process down, so as difficult as it is wondering what the outcome is, you may have to play the waiting game for a little bit longer. You could always try finding out yourself by using an online service. An example of one of these would be the My Credit Monitor site which you can learn more about through our detailed review. Does TalkTalk Mobile do Credit Checks? 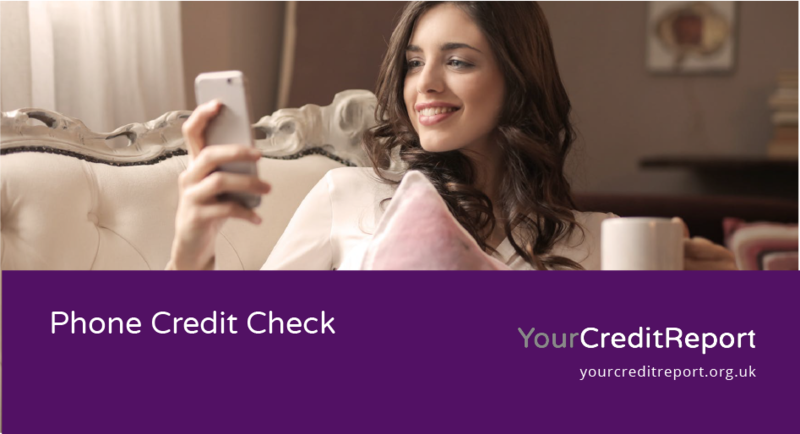 As the relative new kid on the block with an advertising campaign that prides itself on being cost-effective, does TalkTalk mobile do credit checks? Much like all the other mobile phone network providers, TalkTalk perform a file check before agreeing to allow someone to sign up to a monthly contract. The results of this assessment can be almost instantaneous or it can take a few days depending upon when the check is made. Checks can take longer to be approved over the weekend as this is traditionally a busier time. Virgin Mobile Credit Check how long? Virgin Mobile is another provider that perform financial background checks before giving the ok for a contract to be authorised. How long the credit check takes varies considerably. Even if you’ve got a perfect rating it can still take up to a couple of days for a contract to be authorised. This can be due to requests taking longer over the weekend or even computer systems problems that slow the process down. Another reason people might want to look at their financial history online is to check if they meet the minimum credit rating to rent. This may be if they are thinking about renting a flat or house. Do T-Mobile do Credit Checks? Do T-Mobile do credit checks? The simple answer to this is Yes. T-Mobile and Orange were absorbed into the EE umbrella in 2012, so it will be EE that does the check on you. Confirmation or rejection times can vary anywhere between straight away to three or four days. This is pretty standard within the mobile phone industry so you shouldn’t worry too much if the check takes a couple of days to come back. The credit score that is needed for the Apple upgrade program will depend completely upon the package that you want. An Apple upgrade does not necessarily mean you want the top of the range newest iPhone. The more expensive the package, the better your score will need to be because it poses a greater risk to the mobile network provider. An Apple iPhone upgrade will require a credit score eligibility check before it is approved. This will take the form of a background check to see whether your previous payment history was acceptable to the network provider. If you’ve been a good payer and are staying with the same network then this generally gives you a small advantage. However, other negative factors such as missed payments, bankruptcy, CCJs and IVAs will affect your overall score too, so it’s a good idea to check your report before applying for new credit. A different reason that people may want to know more about their financial background is applying for a new jump. Sometimes employers will complete a credit check for a new job to see if an applicant has a good or bad rating before employing them. Knowing how to get approved for a cell phone with bad credit takes a certain amount of plate-spinning. As a general rule of thumb, the more expensive the monthly package is the more of a potential risk it is to the provider. If you’ve got a bad history then save yourself the embarrassment of being turned down for one of the top packages and set the bar a little lower. What do you actually need from your phone? If you want a good smartphone capable of sending emails, picture messages and has a good camera on it then you don’t need to go for the very latest £1,000 model. A smartphone from the same manufacturer that was considered the top model the year before will now be much cheaper than the newest model and therefore less of a risk to a network provider. You still get a great phone and you are far more likely to pass the check for it. So, compromise a little and you’ll still be able to get a great device without being turned down by the networks. A failed credit check at Carphone Warehouse will probably mean you will fail the check for a similar package at another mobile phone retailer. It’s a bit of an Old Wives Tale that one retailer is more lenient than the other and this is because they all use the same reporting agencies to get their data about your financial history. If you have failed a phone credit check in the UK then see what else the network might be able to offer you. Be prepared to lower your expectations a little and you can still come away with a very attractive phone package. Some mobile phone providers advertise their phone packages with a free phone. If you fail the assessment then they can sometimes be overruled if you have the means to be able to put a deposit down for the phone. This is entirely at the provider’s discretion and there are no guarantees that they will offer you this alternate method. It sounds obvious, but going for a less expensive phone package can help considerably. Do you really need the very latest all-singing-all-dancing phone with the highest internal capacity and unlimited everything? The lower the risk to the phone provider, the better your chances of being accepted for a package. If all else fails there are always the Pay As You Go packages. These tend to work well for people with very bad credit history but you have to pay upfront for a new phone. PAYG packages are great if you can get an old phone from someone else who has just upgraded. This way you get a decent phone and you don’t have to worry about a regular bill each month, you just top up as and when you want to. There are plenty of great online services where you can learn more about getting a phone credit check or looking at your own score beforehand.